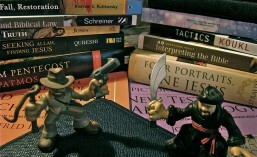 Can an author use narrative creativity when telling a true story? 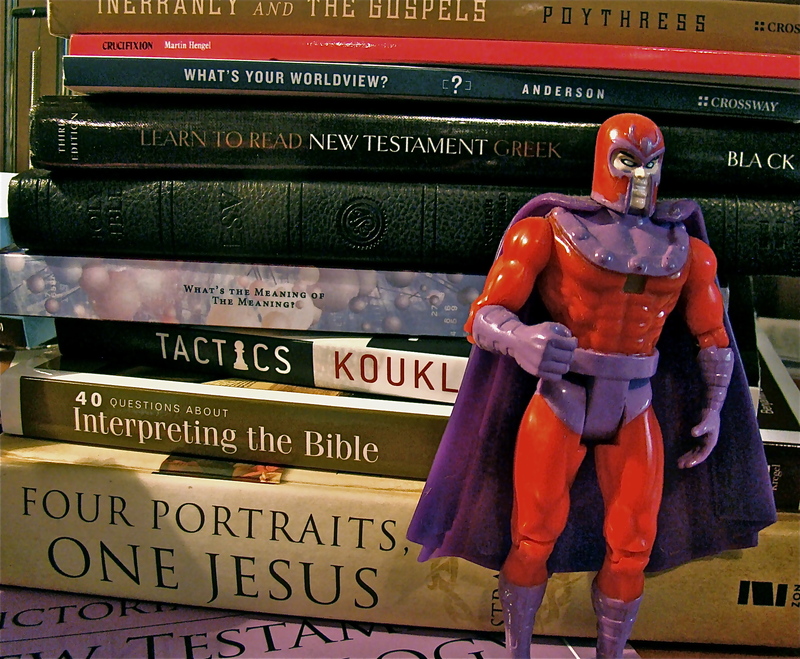 Can literary creativity explain Gospel differences? SERIES INTRO: Often skeptics point to differences in the four Gospels of Jesus Christ and claim they are contradictions. This series will cover some general principles that you can use when you do come across a Gospel difference. By using these principles, many of these perceived differences can be easily explained. On the other hand, this series is not simply to defend the Gospels, but to positively show that having four Gospels brings our understanding of the life and work of Jesus Christ deeper than any one piece of writing can do. Sometimes the Gospel writers (and other ancient writers) will focus on only 1 person to represent the whole. Instead of mentioning every person involved, only 1 person is focused upon. How many demon-possessed men did Jesus encounter in Gerasenes? Matthew 8:28 – Two men (unnamed). Mark 5:1-20 – One man (calling himself “Legion”). Luke 8:26-39 – One man (calling himself “Legion”). In Gerasenes, Jesus encountered two demon-possessed men, but Mark and Luke chose to focus only on Legion, perhaps the worse of the two. Whether telling of one or both, the same purpose is accomplished. A similar idea is reflected in modern literary writing: if the same goal can be accomplished with less characters, choose to go with less characters. Who was 1st to find Jesus’ empty tomb? Mark 16:1: Mary Magdalene, Mary the mother of James, and Salmone. Luke 24:10: Mary Magdalene, Joanna, Mary the mother of James, and other women. When reporting an event with many people involved, many reports will only report the most prominent by name. All four accounts confirm that Mary Magdalene was among the first to find the empty tomb. Being the most prominent of Jesus’ female followers, John chose only to focus on her. 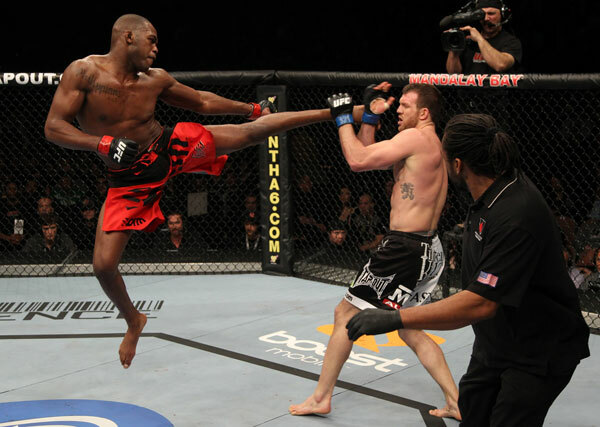 I came across a great example of this from modern times when I was teaching a class about Gospel differences at my church a few years ago: On March 19, 2011, UFC fighter Jon Jones helped to stop a thief in Paterson, NJ on the day before he was to fight for the light heavy-weight title in Newark, NJ. The first articles I read about this incident only mentioned Jon Jones being involved, but other articles I read later stated that his two trainers were also involved and equally important in catching the thief. Because Jon Jones with the prominent one, some reporters decided to leave his less-renowned trainers out of the story. Nowhere did the articles that did not mention the trainers state that Jon Jones alone stopped the thief or that it was only Jon Jones who stopped the thief. As we did in the last article, let’s take a quick moment to note the harmony of the four Gospels with an easy experiment: If we remove all the details that the 4 Gospels don’t all report about the first people to find the empty tomb, what are we left with? What can be known? After Jesus’ crucifixion, some women followers of Jesus — one of them being Mary Magdalene — were the first to find the tomb empty. What is really incredible is that because of the low status of women in First Century Palestine, a woman’s testimony was not even allowed in court. Yet, the Gospels all report that women were the first to find the tomb empty. Even skeptical historians agree that this detail, reported in all 4 Gospels, screams of authenticity. Similar to the most prominent person involved only being mentioned, a messenger or servant represents the one who sent him, so the messenger or servant is often not mentioned. This is not uncommon to see in ancient historic writing. The Centurion’s Dying Servant – Who came to see Jesus? Matthew – In the shorter version of the two, it appears the centurion came in person to Jesus. Luke – In the longer version, the centurion sends elders and friends to Jesus. As it is Matthew’s style throughout his Gospel, his version is the “compressed” — or briefer — version. (More about compression in the next article.) Thus, Matthew cuts out the elders and friends. Have you’ve ever seen a movie not told in chronological order? I’m not a cinema expert, but it seems to me that with the 1994 release of director Quentin Tarantino’s violent crime drama Pulp Fiction, which was not told in chronological order, it became popular for directors to experiment with telling stories not from beginning to ending, but through a series of flashbacks and flash-forwards. But messing with the order of events when conveying a story is nothing new. Writers like William Faulkner did it long before Pulp Fiction in novels like The Sounds and the Fury (1929), and ancient writers did it long before that but with nonfiction. Ancient writers used more flexibility in chronological and narrative sequence than modern writers when telling of true events and often organized their material in topical or thematic groups. The overall structure of the story stays the same, but the smaller units within the framework can be moved around. In the 4 Gospels, we see the overall framework of Jesus’ ministry, death, and resurrection — which does not change — but the smaller units or details within that framework may be moved around for topical or thematic purposes. Also, keep in mind, “then” does not always mean immediately afterward. Gaps in time may be between events appearing next to each other in the Gospels. Take special note of transitional words and phrases (or the absence of) as clues. Often, we see parables in the Gospels with similar topics and themes grouped together. Did Jesus say these one after another or did Matthew lump these parables with similar messages together? Since Matthew appears to be the Gospel most organized by themes, it’s likely Matthew grouped these parables that were told by Jesus at different times together to hammer home a point to his readers. For what possible thematic reasons would Matthew or Luke rearrange the order? Because of the use of “Then,” Matthew is the chronological account. Luke does not use any time-related transition words. In both his Gospel and the Book of Acts, Luke focuses on the city of Jerusalem. Luke’s account specifically mentions Jerusalem in 4:9 in relation to Jesus’ third temptation. Due to thematic reasons, Luke chose to end with the Temple in Jerusalem, emphasizing his focus. NEXT: Narrative Creativity continues: “Selective Telescoping & Compressing” and why knowing about some ancient history & culture helps. 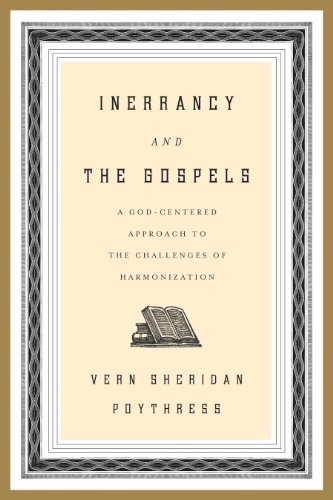 Vern Sheridan Poythress, Inerrancy and the Gospels, (Wheaton, IL: Crossway, 2012), 21. 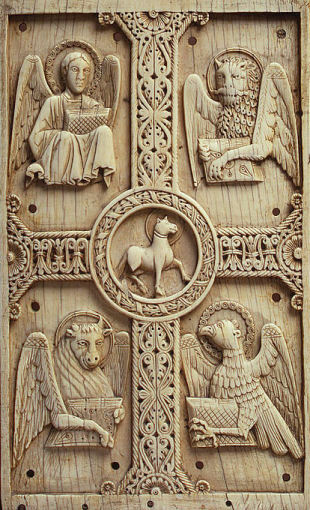 Jonathan T. Pennington, Reading the Gospels Wisely, (Grand Rapids, MI: Baker Academic, 2012), Loc 1385, Kindle edition. Paul Rhodes Eddy and Gregory A. Boyd, The Jesus Legend, (Grand Rapids, MI: Baker Academic, 2007), 254. Gregg R. Allison, “Inerrancy and the Phenomena of Scripture,” (class lecture, Southern Baptist Theological Seminary, September 22, 2012). GOD FROM THE MACHINE has published its first book! 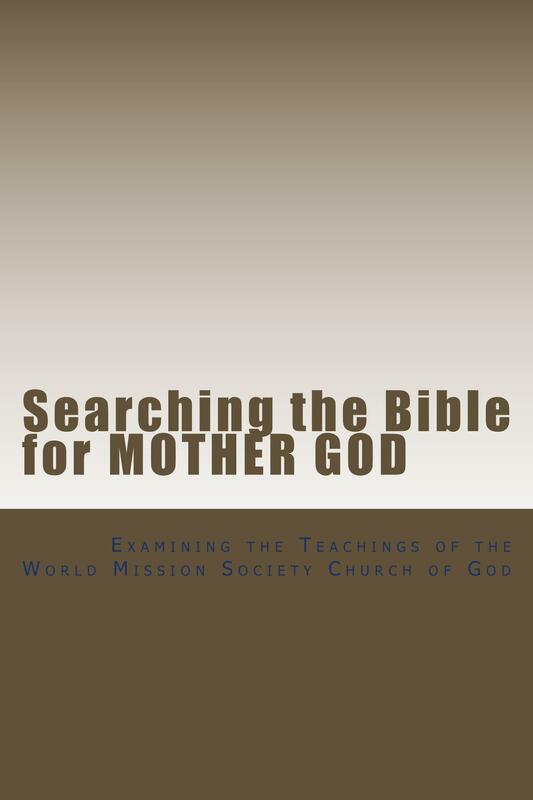 Searching the Bible for Mother God is for educating both those outside and inside the growing “Mother God cult.” Visit our page HERE. This entry was posted in Apologetics & Evangelism, The Bible & Theology and tagged Ancient biography, Ancient history, apologetics, Bart Ehrman, Bible, Christ, Christian, Christian theology, Christianity, God, Gospel, Gospel Differences, History, Jesus, John, Luke, Mark, Matthew, Mother God, Nazareth, New Testament, Old Testament, religion. Bookmark the permalink.